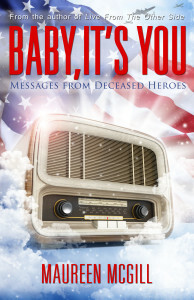 Baby, It's You Messages From Deceased Heroes is a collection of thirty one stories of real experiences! These heroes died in war or war related circumstances. There are three stories from surviving heroes. The message might come in the form of a dream from the hero, or through the senses. It is amazing how these messages can impact our lives. 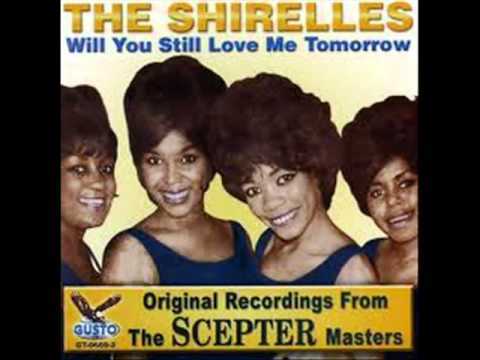 The thrill of the song which was their song, comes on the radio, in church or in the elevator! It is remarkable . Yes, these stories come from military heroes but the message can come from loved ones on the other side. Do you have an experience to share? Did a song come on at the most unexpected time and your gut just knew this might be a message from your loved one? Jot down your experiences. There’s a point where absence becomes presence. Baby, It’s You is a sharing of the heart’s loss and pain when a loved one dies, as well as the comfort, strength, and yes, sweetness of the spirit connections discovered after that death. The book is a compilation of lightly edited transcribed stories shared by people who lost loved ones in war or war related deaths. Mothers, wives, grandchildren, friends recount details of lives shared with loved ones while alive, and how their relationships evolved after their loved one left this physical plane. Whether you believe the dead can communicate with the living, or that such beliefs are the stuff of over-active imaginations, the accounts of human love and loss in Baby, It’s You will have you reaching for a tissue. Baby, It’s You is about thirty-one people who died, and how their loved ones continue to feel the lost person’s positive presence in their lives. All but one of those who died are men. The one young woman who died was a daughter estranged from her veteran father during life. Her father tells of the signs of reconciliation she sent him after her death. All but three who reported contact with loved ones after death are women: twenty-one wives, four mothers, two girlfriends. The ranks of military personnel who died ranged from Private First Class to Lieutenant Colonel. Two male reporters were in the British RAF. Two second hand reports, given by men, were about the experience of women they knew. Two other accounts were by adult grandchildren whose dead grandparents sent helpful signs during particularly difficult times. Of the fourteen combat area deaths, twelve active duty men were KIA in our recent wars (one drowned in water after his vehicle rolled into a ditch, the rest died by either an IED or small arms fire), one man died in Vietnam, and one died of a medical condition while deployed in Afghanistan. One of those KIA was shot in an ambush by an Iraqi soldier he was training. His mother had to raise a real stink to get the government to tell her the truth. Two active duty deaths were stateside training accidents--the military is a dangerous professions. No one questions the heroism of these fallen troops. It’s a different story for the five men who committed suicide after deployments, even though at least three of them had over twenty years of service and multiple deployments. Elizabeth, the wife of Master Sergeant Steven Monnin, had to live through the following experience of having her husband’s heroism dismissed because of how he died. I cried almost instantly! I was shocked that she said that to my face! This is what widows face—the judgment, the criticism, and the journey of veterans in this work. Seven military men died stateside. One died of natural causes. Three died in motor vehicle accidents. Two civilians died in the nine-eleven attacks on the twin towers, one a young fireman on his second fire. Jennifer, whose husband Spc. Jason Hunt was killed in the 2009 mass shooting at Fort Hood, describes her experience. At the funeral, the President of the United States told me that I would be taken care of. However, later the Fort Hood shooting was ruled and Act of Violence, prohibiting benefits he would have received if he had died overseas. Even without this kind of disregard, survivors who had looked forward to years with their loved ones, end up heartbroken with grief and loneliness. Many suffer crises of confidence when left to face childrearing and the other challenges of life alone. Lost loved ones become important. They often send signs to not only their immediate intimates, but also other family members, including children and some who never met them in life. Signs, which can lumped into general categories, nonetheless have idiosyncratic twists which personalize their significance for each individual. The book’s introduction is McGill’s 2 part list poem. Part One is, “We met…” and lists the range of how people met, from bars to jobs, grade school to college, blind dates to adjacent cars at red lights. Part Two is, “We meet now…” and lists some of the particular experiences described in the book. Rather than repeat her selection, here’s a description of the range of signs in my own list poem. Your appear before me, our children, people who never met you. On their own, things come on: lights blink, broken intercoms buzz. You pull wise guy tricks, like you did during life. You make noises, mess with the lights, the doors, all kinds of things. You stop when I tell you to knock it off. You come to me in dreams—sleeping and waking. You came to me before or when you died. You come to me even now that you are dead. I feel your touch on my skin, the pressure of your hand on my shoulder. I feel your hug, your kiss. You send me signs in the wind, and on the wind. You make the temperature change (you always did), but now it can get cold as well as hot. You warn me, protect me from danger and dangerous people. You call my name, tell me you’re OK, that you love me, that I’m strong enough to do this without you. You show up in photos, leave strange patterns on pictures. You send me signs: animals, clogs, heart shaped things, coins, bobby pins, ribbons, sea shells…rainbows. You come to me in sound, music, our song, our songs, and when I hear it just when I need to, I know that Baby, It’s You. Anyone who has loved someone with a dangerous job in the military or civilian world, even a dangerous hobby, knows what it is like to live wondering if he or she will survive that day’s threat—or adrenaline rush, depending on your point of view. When my husband deployed for Desert Storm, I was sure I saw him in a television news report—his head, really—as he was helping to carry someone a stretcher into the field hospital. I ended up so tied to the TV, so close to palpitations and panic attacks, that I had to swear off television entirely, and the news until he finally stopped volunteering for deployments years later. Others have told me of similar experiences. And who hasn’t wondered how, not if, son, daughter, husband, wife, father, mother will come back changed in body, mind, and soul. The word hero is sometimes used glibly, but there is nothing glib about the sacrifices made by the men and women whose stories populate Baby, It’s You. May we all, when it is our time to lose a loved one, have the comfort and companionship of his or her presence from their beyond in our here and now—in every way that has meaning for us. McGill, Maureen. Baby, It’s You. Ozark Mountain Press, 2015. Caroline LeBlanc, MFA, MS, RN is a former Army Nurse, an Army wife & mother, and retired psychotherapist. As the Writer in Residence at the Museum of the American Military Family since 2012, she wrote the script for the museum’s Summer 2014 exhibit, Sacrifice & Service: The American Military Family. She co-produced & wrote the script for Telling, Albuquerque (part of the national Telling Project), a 9/11/2104 testimonial theatrical event where military veterans and family members perform their own stories. Since relocating to Albuquerque in 2013, she has hosted a writing salon for women military veterans and family members. In 2011 Spalding University awarded her an MFA in Creative Writing. Her poems have been published in her 2010 chapbook, Smoky Ink and a Touch of Honeysuckle, as well as online and in a number of print journals. Her art work has also been included in a number of Apronistas Women’s Art Group shows in the Albuquerque area.